I can’t believe December is here and Christmas is only a few weeks away! 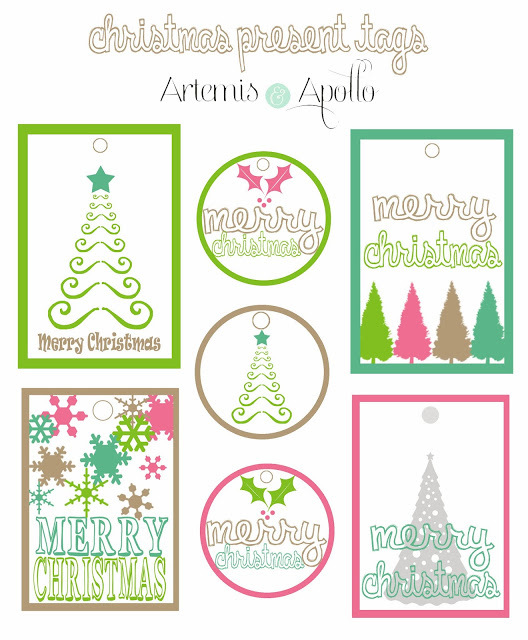 If you are running behind on Christmas Shopping or still trying to decide your present wrapping theme for this year, maybe I can help with some Free Christmas Gift Tag Pintables….Enjoy. * Want to share this download? Please direct readers to this post for the actual file. * All freebies/downloads are intended for personal use only. Commercial use or any sharing or distribution of files from Artemis and Apollo are strictly prohibited. Click HERE to download the file….Happy Holidays!